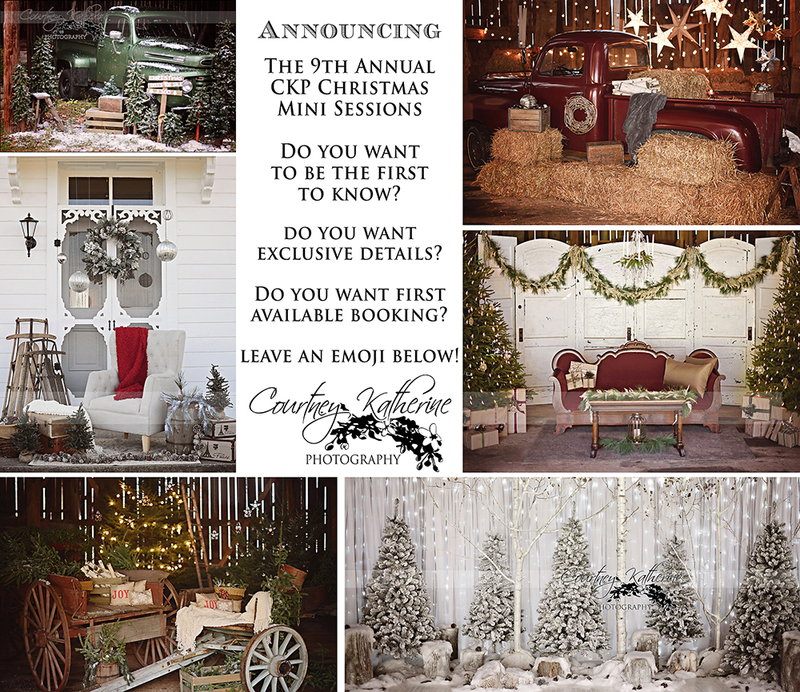 It’s almost time for CKP Mini Sessions!! In the years past….I have announced the booking is available, and my phone rings non stop for a few hours that night….and then continues the next day. I feel like it’s turned into a rat race, so I’m trying something different this year! I have posted this flyer on social media, hence “leave an emoji below”. But, if you are here…and want information, just shoot me an email! Hope to see you this year! These backgrounds are all gorgeous!! Please send me information!! I found your page on a web search for Christmas Photos near me! I just visited and liked your FB page too! Your photos are wonderful!! !